Curious about the best things to buy at the Dollar Tree? Wondering what Dollar Tree products to avoid? Here are 45+ Dollar tree items that our family LOVES (as well as a few things we’ve found to be duds). I can’t go more than a few weeks without writing another post about the Dollar Tree – I’m a little obsessed! But, it seems like I’m in good company, because so many of YOU seem to be just as big of fans. One of the hard things about the Dollar Tree is knowing what products are actually a good find, and while products, are, well, worth a dollar (or less). 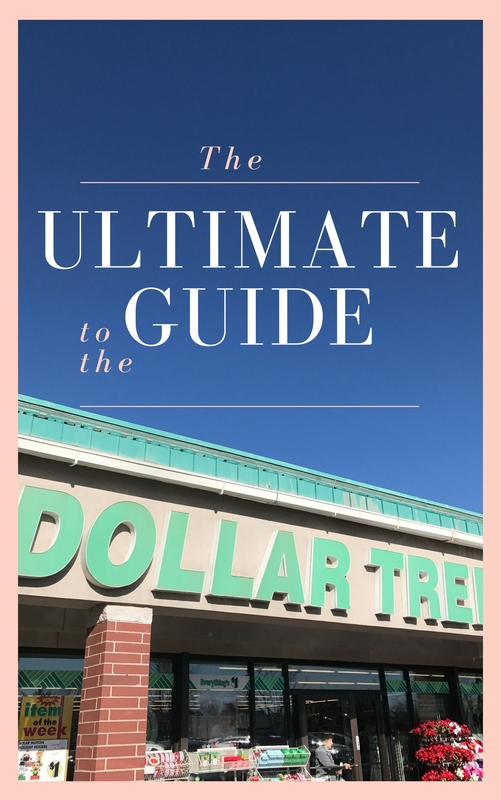 I will say that I’m a little more hesitant to buy off brands from the Dollar Tree – but fortunately, they carry MANY brand name products for great prices (make sure to read my secrets to shopping at the Dollar Tree for more insider tips). So, I thought I’d share a few of the times that either I LOVE, or that I’ve been told is amazing. I recently did a survey on Facebook about this very topic, so I’m excited to share these with you (as well as a few items that I’ve found to be junk!). Make sure to let me know what I may have missed! Click here to sign up for the Dollar Tree Value Seeker’s Club – it’s free! We bought our boys some of these for Christmas, and I am AMAZED at how good they are. I’m sure there are different kinds of bubbles there, but these were the Spiderman ones (it says Powered by Miracle Bubble). I believe it’s these licensed character bubbles. Bubbles for days! This is one of the #1 things people recommended from the Dollar Tree, and I have to agree. Greeting cards are other stores are getting more and more expensive – it is crazy. There are some really weird ones at the Dollar Tree, but you can find a lot of really nice ones, too. I especially love the fuzzy socks! I have actually heard that a lot of doctor’s offices get pregnancy tests from the Dollar Tree. It may not write out the words “pregnant” for you, but it gets the job done. You can start saving for baby by buying these! My mom loves these little metal bag clips that you can buy at the Dollar Tree. Perfect for chips! My mom said that she sometimes has a hard time finding these, but when they are in stock, you should stock up! The Dollar Tree has lots of kinds of soap – liquid hand soap, bars of soap, dish soap…it’s all great! Now, most of you probably have no use for foam board, but it’s rather popular for bloggers. While it’s several dollars at most other stores, you can get white and black (sometimes) for just $1. The rolls aren’t that huge, but they have some cute prints. I found that one roll wrapped about 4-5 medium sized presents this Christmas. The helium balloons are hard to beat. However, one of the Dollar Trees near our old house hardly had ANY in stock. I’ve found that most normally do, but I would call ahead if you are looking for something super specific. We love glow sticks at the Dollar Tree! They have so many different kinds – necklaces, bracelets, wands, glasses….my boys love these. One reader said that she got a great deal on vases for a wedding. I recently looked at the vases at the Dollar Tree, and they seem to be pretty good quality! 18) Craft Supplies (pom poms, glitter, etc.). While I had several people recommend this, one person said she heard it wasn’t very good. I think if you stick to the name brands that are sold, you should be okay though! Two packs for one dollar – we loved these at Christmas time! My mom said she wasn’t a big fan of the BIG gift bags. However, I like most of the gift bags I’ve gotten there. I think the baby shower ones are especially cute. These are great for freezer meals, taking dinner to other people, etc. They are pretty cheap, but this is where we buy most of our frames! Picture frames can be so expensive! They have a wide variety, as well. You know those boxes of candy they sometimes sell at the movie theater for like $5? Just stop by the Dollar Tree first and pick up a few boxes for $1 a box. Much better deal! When I was talking to my mom, I mentioned that I didn’t think candy bars were very good deals here. She said, “Are you serious? Candy bars are often more than $1 nowadays.” I guess I don’t buy a lot of candy bars! But they do have a large variety of full-size candy bars (as well as the little strips of miniature ones). This one kind of blew my mind. I had no idea you could buy glasses at the Dollar Tree. However, a lot of people recommended them, so I decided to check them out. And guess what? They seem to be great quality! I’ve bought a few different dishes from the Dollar Tree. Some of them break easily, but for the most part, I’ve been pretty pleased with them. 40) Holiday Products – check our posts on Dollar Tree Christmas and Dollar Tree Halloween ideas. Forrest and I LOVE these. They have them for almost all the holidays, and they are super cute. We look forward to getting them with each holiday. (I actually just saw they have solar powered garden lights. Super excited to try these out!). The Dollar Tree is definitely my go-to place for party supplies (they are great for baby showers, kid parties, as well as for getting table cloths, paper plates and plastic forks, etc.). Hoping to organize your home more with some Dollar Tree products? Great idea – here are some of my favorite organization products there! While you are at it, make sure you check out “The Organized Home” – an amazing online organization course. It has changed the way I organize (and it doesn’t make you feel guilty if you fall short :). You can get 10% off using the code CLARKS – click here to signup. Okay, not all the toys at the Dollar Tree are bad. We like the little cars. However, for the most part, I find most of them to be just kind of junky. You just have to be careful (but in all honesty, it’s a dollar, and the kiddos might like it). Just don’t be too disappointed if something doesn’t work the way it should. Just go to Costco instead and buy their batteries. Dollar Tree batteries really don’t last long. This was a suggestion from my mom – she said that she has bought many truffles there that have been smooshed or otherwise unappealing. We bought some at Christmas, and they certainly left something to be desired. I like a lot of their kitchen supplies, but many of the plastic kitchen utensils do not stand the test of time! This is another suggestion from my mom – she said they leak really easily. This is one I’ve heard from many people, and I agree. They just don’t color very well, and you can get better quality crayons for around the same price at Walmart or Target. Once again, another suggestion from my mom. She said that these often stop working, and she doesn’t feel they are worth buying. Just say no to Dollar Store Electronics. These are things worth investing in. They don’t last very long when you buy them from the Dollar Tree. Hi, what about hand soap? Great post! I love Dollar Tree, I almost always stop there first on my grocery shopping day. I get a lot of the things there that were mentioned. I LOVE Dollar Tree and go there almost weekly! I go down every aisle to check out what’s new. I am a paper crafter and get tons of stuff there. Love their foil (poster board) that embosses and diecuts nicely. Love their Christmas stuff and I stock up on gift bags, ornaments, and tape. But I don’t like their tree skirts; too small at 18 to 20″. I like their dishwasher pods, dryer sheets and dog treats. Love their fuzzy socks too! Some great brand names too! I bought the Reynolds tin foil there and will never buy it again! Very flimsy and thin. You can tell how light the box is when you pick it up! I buy the kitchen itensils no problem. Also I bought all my christmas wrapping paper there. I was lucky to find large beer mugs that I use for the times I want a nice big glass of something cold! I buy the aluminum containers and the betty crocker foid storage containers. The greeting cards are an awesome buy and if you look around you will notice they carry the major lines (Halmark etc). When getting my first apartment I bought some cleaning supplies from dollar tree, while I agree that not all are very good the all purpose cleaner spray bottle they sell is one of my favorite cleaning products. 5 years later and I’m still using it. Works great with cleaning and getting dirt/ grime/ stains up and I’ve luckily not had a problem with the spray nozzle not working and for a dollar the bottle seems to last me forever. If looking for a good cheap product I would recommend this one! I agree with you recommendations on everything except Scotch tape. You can get 3 rolls at Walmart for 2.97 and the rolls have 3-4 times as much tape per roll. Thanks for the great post! We like to buy Garlic bread from the cooler section at Dollar Tree. I’m a teacher so I buy a lot of craft items and decorations for my classroom. I agree!! I am a housekeeper and I absolutely love the Awesome brand degreasers. That little bottle is great for all greasy stains (even clothes) and stoves. The Oxygen Orange cleaner is great in bathrooms for soap scum and all over house. And that lets not forget you can get the refill bottles for a $1 too. This is my trick too! You just Cannot beat that deal & they even carry a lower sodium option! I buy batteries there. Just have to make sure AND get the alkaline batteries and not heavy duty ones. They last longer! I use them for work with no problem. The only thing a disagree on is that the tools are a bad buy. Right they don’t hold up like good ones but you can make a great starter kit for kids and it’s handy to have screwdrivers on every floor of the house. lol Or in the car door pocket. In a pinch they’re fine and handy extras. I buy the 9v batteries for our smoke detector because we change the every 6 months. Never had an issue with them. I do agree for other types that Costco is the place. i use a degreaser i buy from the dollar tree. it is best stuff, but i make sure i buy the concentrated. works great, you gotta try it! oven cleaner is great for so many things and for a dollar works just as well as any other. i agree with the above mentioned things you have talked about, thank you very much!!! Thank you so much honey for all the great information!! I know it must have taken a long time to gather that much useful info together. One thing I wanted to mention – there are many things in that store- from veggies to makeup – that have expiration dates. Be sure to check. I’ve been burned more than once. A week or two is one thing but 6 months is too long!! Thank you, Jani! And that is a great tip 🙂 Thanks for sharing! There cleaner “Awesome” is just that. Great spot remover, degreaser and all around cleaner. Just remember to use in open space or with open windows. Kind of makes you cough if too close. My eye doctor told me that if my insurance didn’t pay for reading glasses from his office I could get them from anywhere but dollar tree. He said they are defective and would hurt my eyes. Wal-Mart, dollar General etc are fine. By the way I am a 2-3 times a week dollar tree shopper. You can actually get way more than a two tapes for a doller. You can find the dispensers and dispenser packs that have abort six or eight rolls or tape. Love this post. The only disagreement tjat i have is about the socks, since Id had bought some and after the first washed they shrinked. Other than that I love pretty much everything. Course with some exception!! Another thing that’s good from the Dollar store is Nature’s Own Bread…. (honey wheat, wheat, white, butter). Nature’s Own can cost between $2-3 at Walmart or any other grocery store. They switch up every week with other name brand breads. Also, I’ve used blueberries from there,they are frozen, but if you know how to get down in the kitchen you can make it work. I’ve also brought hot pockets, veggie burger patties, pimento cheese, cheese puffs, the gourmet pretzels(grocery store price $2.50), ocean spray cranberry grape. All that being said, there are many other food items that are good there. There are some things that I myself wouldn’t even try. Like the weird off brand drinks!! My husband is one of those people who will try and like everything but me “NO MA’am”. I can say specifically though…..DO NOT BUY THE SYRUP!!! Syrup is one of those things you just have to buy the Name brand!! I just love the dollar tree. I host a lot of parties(bridal shower, Baby shower, birthday, etc) and when it comes to decorating, games, party gifts…..that’s MY one stop party shop!!! ?